Hidden away in the Club’s lower level, JD’s is a sleek, wood-panelled sanctuary from another era. It’s a place where members always receive topnotch service and pampering (and maybe a glass of scotch) from Judah Down and his experienced team. Judah’s JD’s Barbershop on Abbott Street led the way for Gastown’s cultural renaissance and set a new standard for style and personal service. That standard was extended to JD’s second, members-only location at The Vancouver Club. You can find more video from The Vancouver Club on our Vimeo page. Looking for a sophisticated haircut? Whether you sport a “Clooney” or a short-long, JD’s will have you looking sharp. Includes a wash and/or rinse. A classic. No. 1 or 2 all over or no guard at all. This service includes a wash and/or rinse, and takes 15 minutes. Treat yourself to the full service. 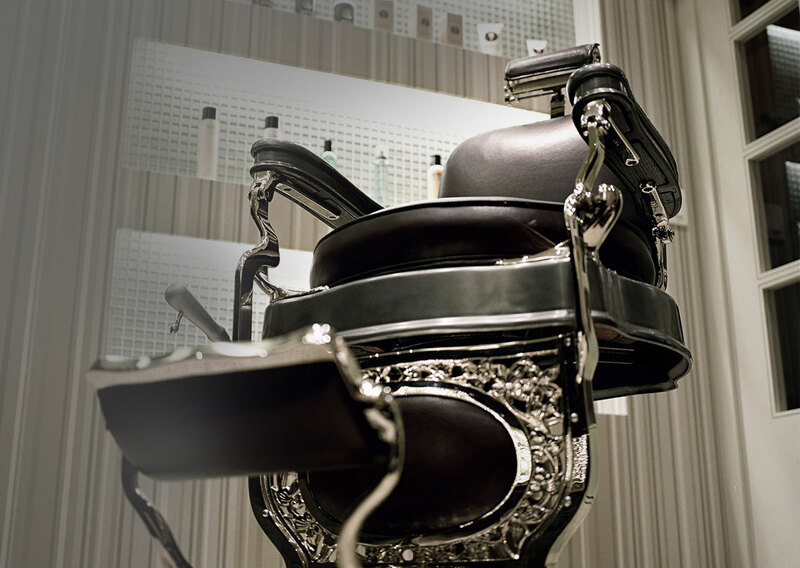 Relax and enjoy a gentlemen’s cut andÂ straight razor hot shave. You’ll leave the shop feeling like a new man! Maintaining the rugged look doesn’t have to mean compromising on style. Keep the beard as fresh us the fade. Stressed out? Need to regroup and refresh before a meeting or a night out? A couple of steamy aromatherapy towels and a little downtime in our comfortable chairs is all you need. Come see us for a Clean Up if you just need a little polishing or are short on time. Stop by and we’ll trim you up. It’s just the thing to get you through to your next haircut. Don’t worry ladies, JD’s is more than capable of handling any of your requests. Looking for layers? A whole new look? We’ll pamper you just the same. Looking for some volume? Want to flatten your frizz for a big event? Come experience the wonder of a professional blow dry. Getting married? How about a hot shave for the Groom and his attendants? Book now for your big day!